London is one of the great metropolises of the world, capable of advertising itself using its rich and varied heritage. While the city’s Roman, medieval, and modern history may be familiar to many, London also has an important but lesser known prehistory. From the Old Stone Age through to the Iron Age, human communities lived in the area now encompassed by Greater London, each leaving their own distinct mark upon the region. 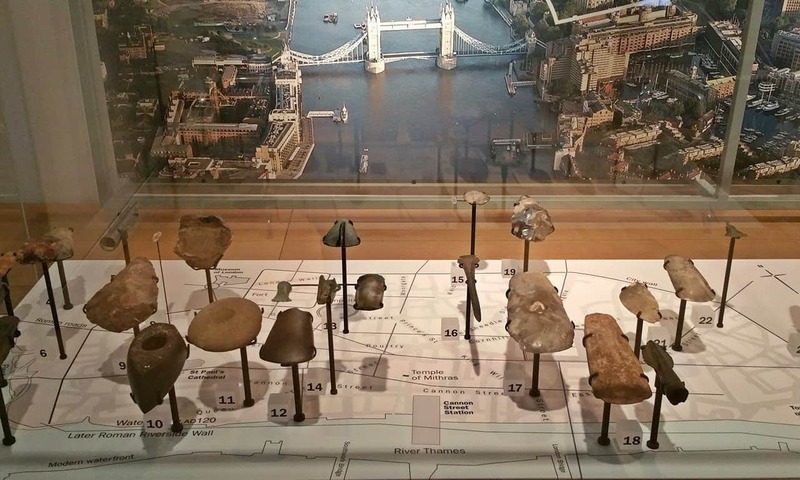 An exhibit in the Museum of London showcasing stone and metal artefacts found at various locations in the city of London, dating to between 450,000 BC and 50 AD. Although often eclipsed amid the city’s Victorian terraces and glass skyscrapers, visual reminders of prehistoric London are still dotted around the city. These are all off the usual tourist trail, tucked away in local parks, on street corners, and in golf courses. While not as substantial and dramatic as some of the prehistoric sites elsewhere in southern Britain, these sites are still well worth a visit and help to provide the visitor with a better idea of what society was like before the arrival of the Romans and the establishment of the Roman Empire. The Britons of the Palaeolithic, or Old Stone Age, were likely nomadic and lived a hunter-gatherer lifestyle. They would have been members of small bands who travelled across the landscape in search of the resources needed for survival. Although they have left behind no monuments or sites for contemporary tourists to visit, we nevertheless have much evidence of their world. Many of the most impressive Palaeolithic finds from the London area are on display at the Museum of London. This fantastic centre, located within London’s financial district – the City of London – contains a room devoted to ‘London Before London’. On display are several stone hand-axes and other tools that Palaeolithic Britons would have utilised in their day-to-day life. Palaeolithic Britons shared the landscape of southern Britain with an array of mega-fauna, including hippos, rhinos, and mammoths. The bones of these and other animals feature in the museum’s exhibits. Entry to the Museum of London is free, although it requests voluntary donations. It is situated in central London, near to good transport links. The nearest underground tube station is Barbican, which is situated on the Circle, Metropolitan, and Hammersmith and City lines. By the Mesolithic, homo sapiens were the only surviving human species left in Britain. Rising global temperatures had replaced the Ice Age tundra with lush forests of birch and pine. Retaining the largely nomadic hunter-gatherer lifestyle of their Old Stone Age ancestors, Mesolithic Britons left behind no monuments or buildings for us to visit. Instead, much of what we know about them comes from the flint tools and butchered animal bones found by archaeologists at sites like Three Ways Wharf in Uxbridge and along the Old Kent Road. While deer and wild horse were part of the Mesolithic diet, they also made plenty use of fish and water fowl. The London area has many rivers and other wetlands, although by far the largest is the majestic River Thames, which runs through the heart of the modern city and would have been an important resource for prehistoric people. In 2010, archaeologists from the Thames Discovery Programme discovered six timbers on the river’s southern shore at Vauxhall. Radiocarbon dating revealed that they were Mesolithic, from the fifth millennium BCE, making this the oldest known structure on the Thames foreshore. Unfortunately, the precise function of the structure remains unknown; perhaps it was a jetty for fishing boats or a platform for the ritualised deposition of items into the water. Several Mesolithic tools, including a stone adze, were close by (More on the Archaeology at Vauxhall Bridge). 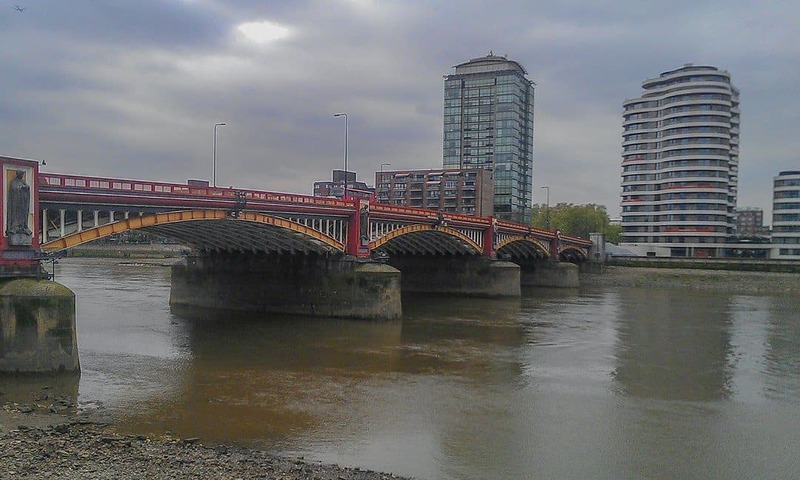 Although the shifting tides mean that the timbers themselves are rarely visible, their location is clearly observable from both the southern bank (just in front of the MI6 headquarters) or from the adjacent Vauxhall Bridge. These locations are only a few minutes’ walk north of Vauxhall station, which is on the Victoria line of the underground and part of the National Rail network. After visiting the site, tourists can take an eastward walk along the southern bank, taking in impressive views of the Palace of Westminster. The population of Bronze Age Britain lived in a settled, agricultural society. Their material remains reflect growing social stratification, suggesting that by this point an elite dominated society. This is perhaps best reflected in the fact that select individuals were chosen for interment within round barrows or tumuli, often clustered together in cemeteries. Many of these were built between 2400 and 1500 BCE, although unfortunately others have yet to be conclusively dated. The area of modern southeast London saw barrow cemeteries established at various high points. At the time of construction, they would have offered impressive views over both the Thames and the wider landscape. Although the forces of urbanisation have destroyed most of these barrows, a small number still survive, allowing the visitor a glimpse into the Bronze Age world of their makers. 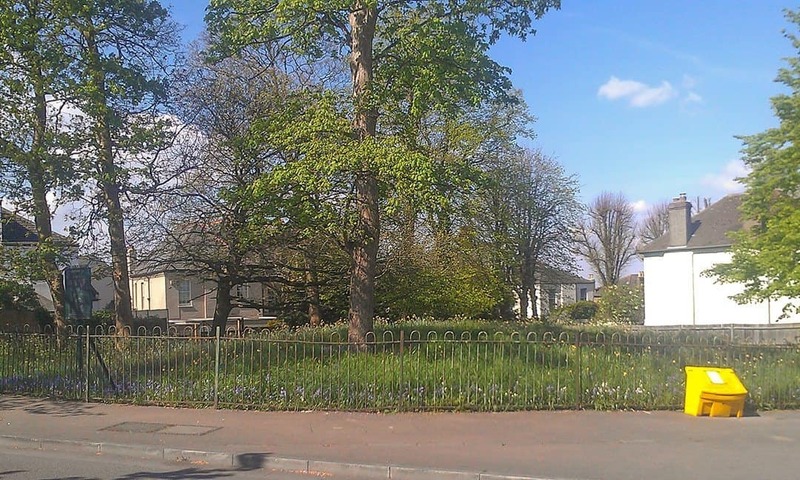 Perhaps the finest is Shrewsbury Barrow, situated on the corner of Brinklow Crescent and Plum Lane in the suburban jungle of Shooters Hill. This barrow was once one of six, three of which were in a linear alignment. An iron fence surrounds the tumulus and an information board informs the visitor about the site. Parking is available in neighbouring roads, while the barrow is approximately twenty minutes’ walk from Woolwich railway station. A short drive away is the lone survivor of another barrow group, situated just north of Bleak Hill Lane in the eastern part of Winn’s Common, Plumstead. The Winn’s Common Tumulus is in the middle of an open field and thus is visible from the adjacent roads. On the common, signposts erroneously label it as ‘Roman barrow’. Although the landscape has changed since the Bronze Age, the lack of any housing or trees crowding the barrow offers the visitor the chance to appreciate the site in its wider geographic context. Nearby roads offer spaces for parking, while the site is also accessible following a half hour walk from Plumstead railway station. Pushing further east, intrepid explorers armed with an OS-map can find a much-damaged tumulus atop the steep hill in Lesnes Abbey Wood. Although less spectacular than the previous two barrows, a visit to this barrow can easily incorporate a trip to the picturesque medieval ruins of Lesnes Abbey itself. Limited parking is available on Abbey Road and New Road, while the tumulus can be arrived at following a half hour walk from Abbey Wood railway station. 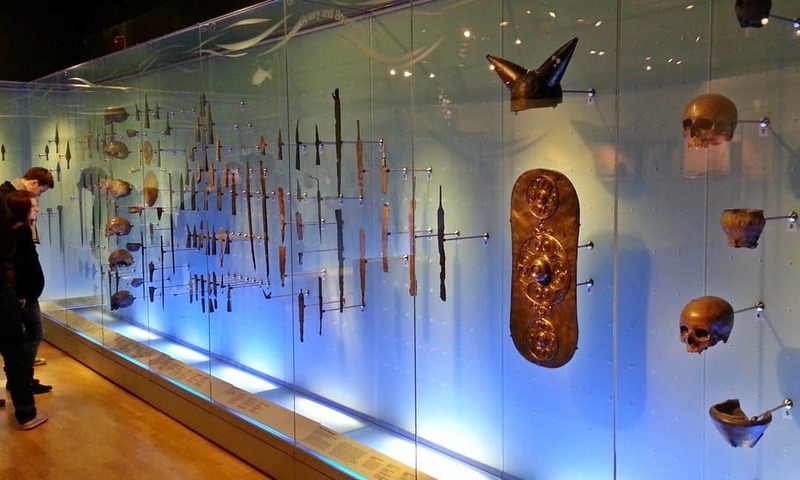 From the latter part of the Bronze Age through much of the Iron Age, there appears to have been an increasing militarisation of British society. Evidence for this is visible in the proliferation of hillforts – large, defensible earthwork positions erected on high ground. These hillforts are found across much of Britain; some, such as Dorset’s Maidan Castle, are particularly awe-inspiring. A small number of hillforts are known from in and around the Greater London area. These include Ambresbury Banks and Loughton Camp, both found in Epping Forest on London’s north-eastern border with Essex. To the south of the city is St Ann’s Hill near Chertsey in Surrey and Caesar’s Camp in Keston near Bromley. 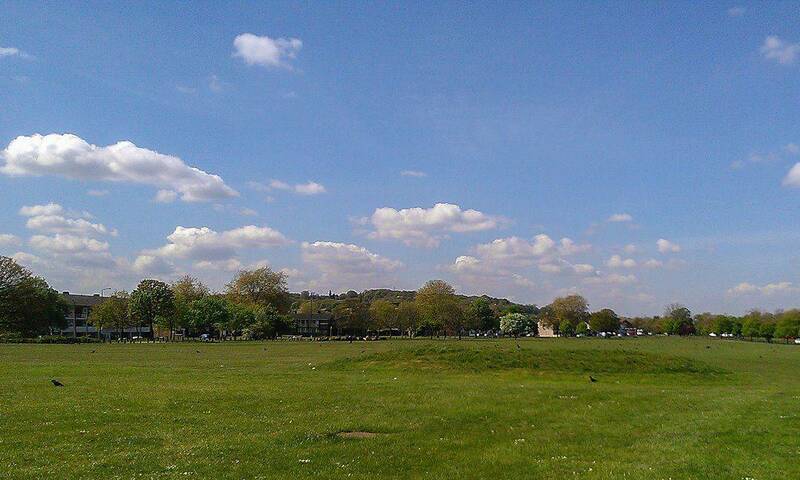 A little closer to the heart of the city is a hillfort just south of Wimbledon Common in southwest London. Confusingly, this hillfort is also known as Caesar’s Camp, a misleading name probably given to it by nineteenth-century antiquarians, although it was also known locally as Bensbury, Warren Bulwarks, and The Rounds. Encircled by a ditch and bank, the hillfort is approximately 300 metres in diameter. Excavation carried out in 1937 revealed that the site was likely built in the third century BCE, and continued to be used into the late Iron Age. At one point, someone buried an urn filled with Roman coins at the site, perhaps for safekeeping or as a votive offering to gods or spirits. 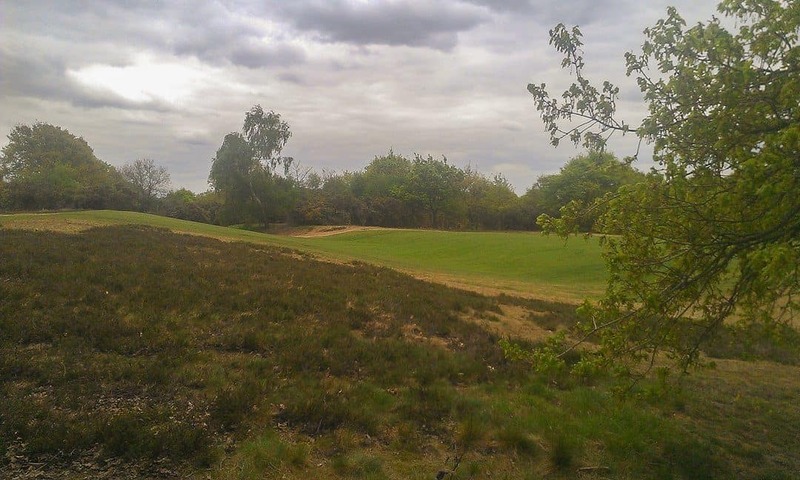 Unfortunately, a golf course now engulfs the site, and one needs an astute eye to determine which earthworks are Iron Age and which are recent additions for the benefit of golfers. Only members of the gold club have full access to the hillfort, although a public footpath cuts right through the middle of it from east to west, allowing decent views of the ditch-and-bank on the two ends. For the story of London, the arrival of the Romans has significance as both an end and a beginning. It marked the end of prehistory; henceforth, London’s story was to be recorded in text as well as artefacts. At the same time, it was a fresh beginning as the Roman Empire established a new town, Londinium, on the northern banks of the Thames. Caesar invaded Britain twice, first in 55 BCE and then again in 54 BCE. It was during the second invasion that he clashed with the forces of an indigenous tribal chief, Cassivellaunus. This likely took place at Brentford, a town on the northern side of the Thames in West London. This was only the beginning of the Roman conquest, which was completed nearly a century later under the Emperor Claudius in 43 CE. In the early twentieth century, the site was used for unloading coal and the monument itself was eventually buried. In 1992, the local authorities moved the Monument further inland. 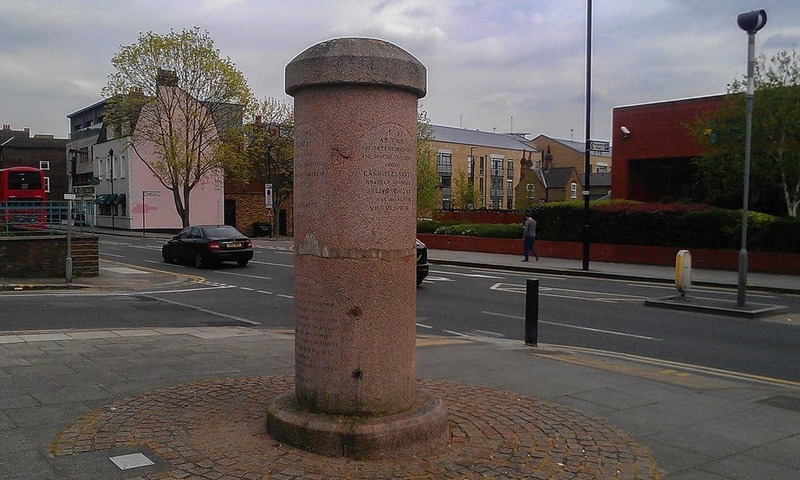 Today it is situated next to a bus stop on the intersection between Brentford High Street and Alexandra Road. Here, it is easily accessible, just ten minutes’ walk from Brentford railway station. 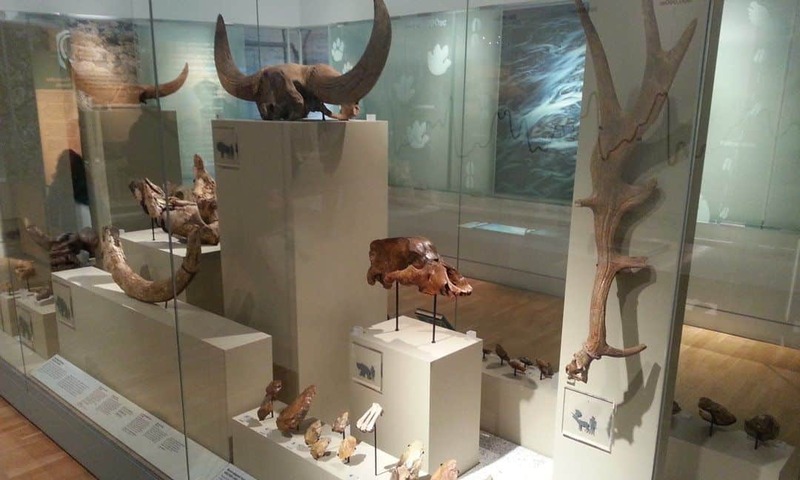 London’s prehistory is very much off the tourist trail, and much the better for it. One can visit these sites without having to wade through the large crowds that sometimes mar better known prehistoric locations like Stonehenge. This also means that access is rarely straightforward, and for those with serious mobility issues several of these sites will be simply inaccessible. When planning your visit, make sure that you are properly prepared. A detailed map is strongly recommended, particularly for sites like Caesar’s Camp and the Brentford Monument which are not well signposted. Good walking shoes, water, and snacks are also advisable when visiting sites in parks. However, for those willing to put in the effort, a new and deeper appreciation of London’s past provides a welcome reward. 6% Off all London Pass options, except the 1-day pass - Discounts Do Not Apply to The Travel Element.